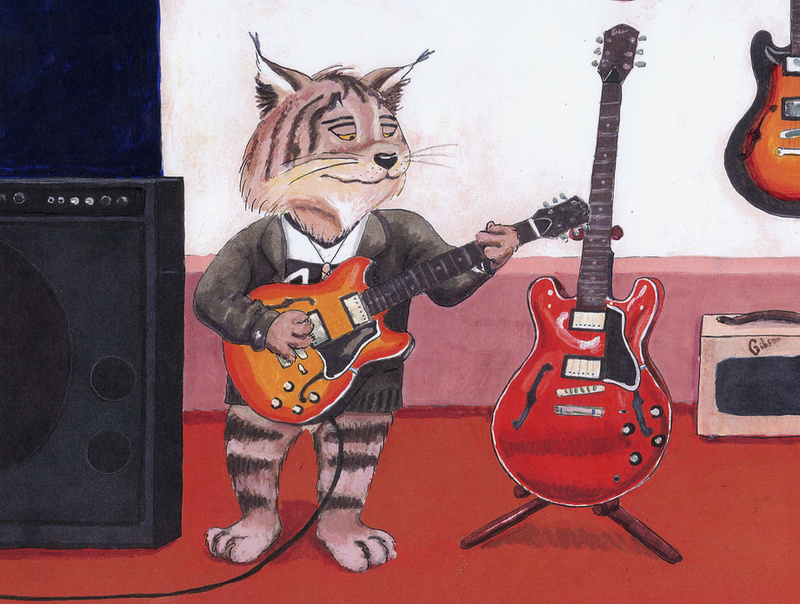 Lynx trying out a Gibson ES339, which is more his size than the full-size ES335 to the right. Love the way this one came out, but if I had to do it again, I'd change his proportions. He's built more like a bobcat than a lynx. His body oughta be longer. I'm reminded of a certain scene in Wayne's World.